A mystical story of Maori culture The birth of a daughter - Kahu - breaks the lineage of a Maori tribe. 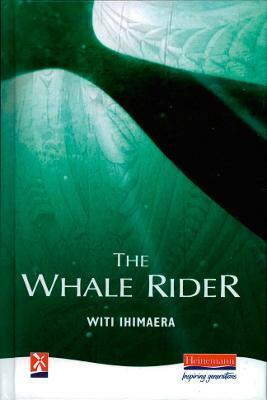 Rejected by her grandfather, Kahu develops the ability to communicate with whales, echoing those of the ancient Whale Rider after whom she was named. This magical and mythical ... read full description below. A mystical story of Maori culture The birth of a daughter - Kahu - breaks the lineage of a Maori tribe. Rejected by her grandfather, Kahu develops the ability to communicate with whales, echoing those of the ancient Whale Rider after whom she was named. This magical and mythical novel tells of the conflict between tradition and heritage, from the perspective of Kahu's grandfather, and Kahu's destiny to secure the tribe's future. Age 11+ Ideal for studying multi-cultural texts, gender and environmental issues. The beautifully poetic style and twin narrative lends itself to the analysis of language. To automatically receive all the latest news on New Windmills, why not sign-up for our Heinemann Literature eNewsletter?